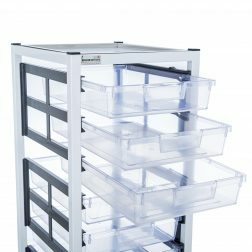 One of the UK’s leading manufacturers of high quality and low cost medical, catering and industrial shelving systems, racking and bespoke storage solutions. In our UK factory we manufacture a comprehensive range of shelving products, with Chrome and Aluminium shelving in stock for fast delivery. 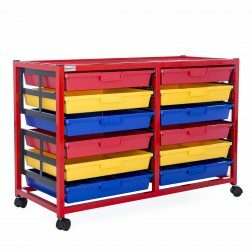 We specialise in high quality shelving and trolleys for the healthcare, catering, educational and engineering industries. From medical shelving to domestic wire products, everything we sell is made in Britain to the highest standard. All Bedford Shelving products are designed, built and supplied from our Yorkshire base. This short supply chain allows us to make great savings on time and environmental costs in the manufacturing of our goods. We carry a comprehensive range of products of different applications, dimensions and designs. Priding ourselves on our versatility and local manufacturing base, we are also able to provide bespoke solutions should our existing stock not cover a client’s needs. Bedford Shelving believes in high quality products that are built to last, at a minimum of cost. Our relationships with our customers are of great importance to us as well and we’re proud of the links we’ve built up with clients big and small over the years.